It is a company with a long tradition in the field of hosiery. We are socks manufacturers since 1956 and now in its third generation, we have continued to innovate, to try to improve . We currently have a fully-date facilities, with a many machines of last generation that allows us to make everything that our customers demand. To do this, we have the most innovative machinery, good materials and an unbeatable team. We offer a high percentage of our collection with closed toe Point x Point “SEAMLESS”. 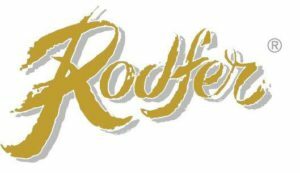 Our commitment is not just selling a product, but offer maximum comfort and get the most satisfaction of the buyer / a, thus maintaining the illusion of it by re-brand Rodfer another pair of socks or Le Petit. We bring out that we always offer ongoing support service to our customers. To do this, we have a permanent stock of most items, thereby achieving 24/48 needs replenish hours. …. Because every day we demand more. Socks for men and women. For children and newborn babies. Our brands are sold through wholesalers and retailers. We not sell directly to individuals, but they can indicate the nearest location to your home where they can buy our products.